Throughout the years the stainless steel tube bending process has changed as technology has changed. But the core elements all remain the same, they are the tube metal, the machine, tooling, and lubrication.The bending process starts with knowing the material you are using such as stainless steel. Also, before bending you should know certain variables such as the outside diameter, centerline radius, and the wall thickness. In addition to wall thickness and the other variables stated earlier, there are other variables that can come into play as well. Variables such as the centerline bend radius and the tube’s elongation. The bend angle is needed as well. When bending stainless steel tubes with a weld, the size and quality matters for proper bending. Improper welding can lead to issues when bending the tube. There are common types of the bending process. Those types are compression bending, ram bending, roll bending, and rotary draw bending. Ram bending is more of the traditional type bending seen in automotive shops still today. It uses a hydraulic ram that pushes the stainless steel tube against the rollers. The roll bending procedure is usually used for construction type bending. This method uses three rolls and generally are for larger pieces. Compression bending uses a roller with a stationary bend die. The roller will compress the tube against the die. The rotary draw bending is usually one of the more common types. It is also usually the most accurate bend of all the methods. The pressure die holds the straight section, while a clamp die rotates it around a round bend die. The rotary draw method is usually used for household or commercial products. This is just a brief look at the world of tube bending. 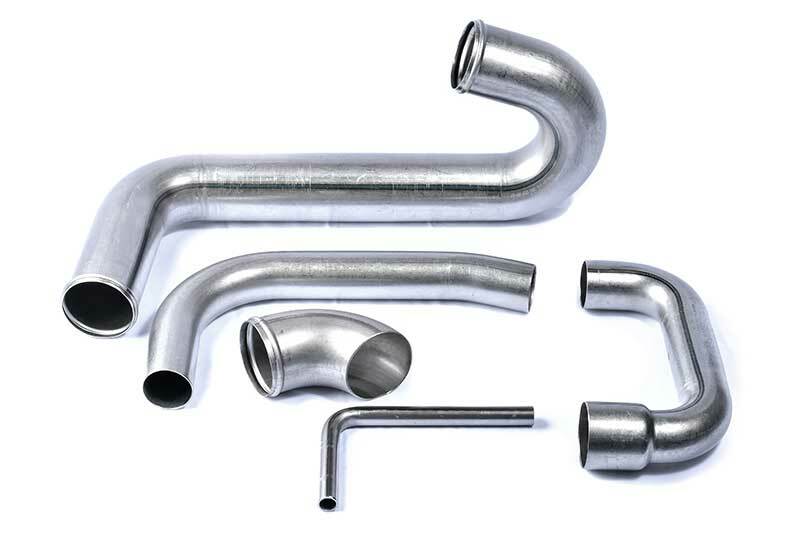 Of course, the experts at Detroit Tube Products can answer any question you have about stainless steel tube bending. Give us a call today at 313.841.0300 or use our easy contact form today!